← Feeling a bit down. Chinese cabbage, aubergine, butterhead lettuce, Napa cabbage, celery, beetroots, blueberries, onions, red bell pepper, cucumber, bananas, apples, pears and very green mandarins. 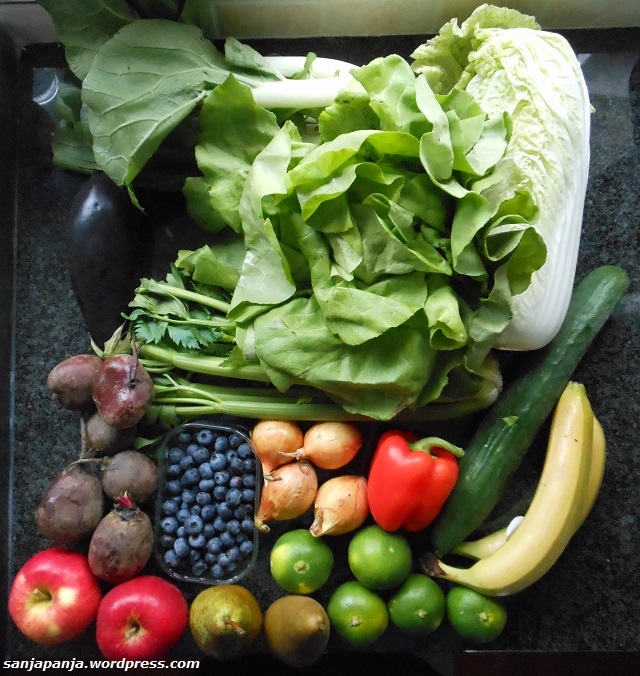 This entry was posted in Weekly organic fruit and vegatables and tagged apples, aubergine, bananas, beetroot, blueberry, butterhead lettuce, celery, Chinese cabbage, cucumber, mandarins, napa cabbage, onion, pears, red bell pepper. Bookmark the permalink.